For 70 Years, A Mug In Auschwitz Held A Secret Treasure : The Two-Way The Auschwitz museum has thousands of pieces of enameled kitchenware. In one mug, a carefully constructed false bottom successfully hid items from the Nazis. 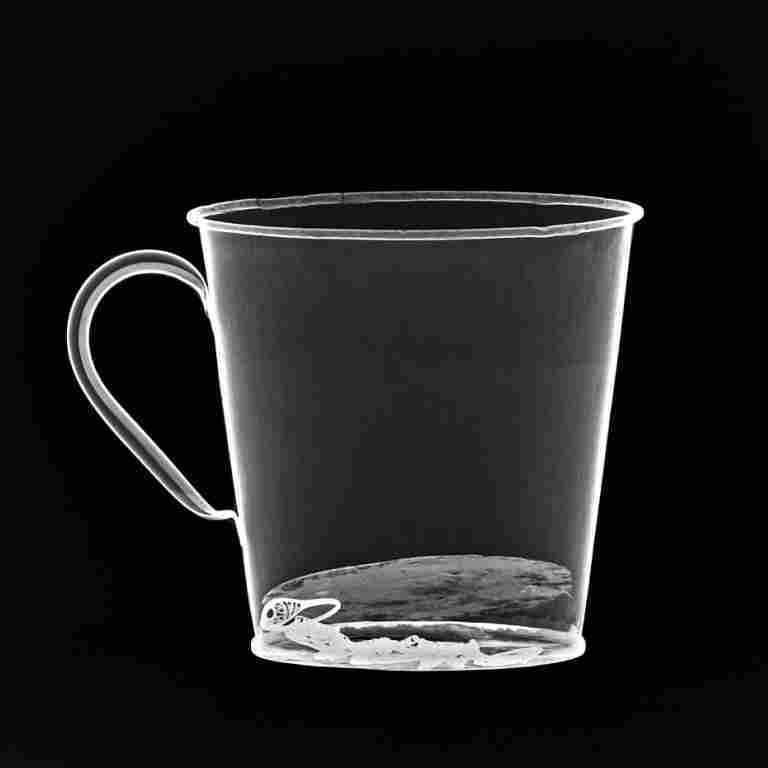 For more than 70 years, the false bottom on this mug hid a Holocaust victim's treasures. From the outside, it looked like any of the other mugs in the Auschwitz museum. But on the inside, this one had a secret — faithfully kept for seven decades. A false bottom concealed a gold necklace and a gold ring inlaid with stones. 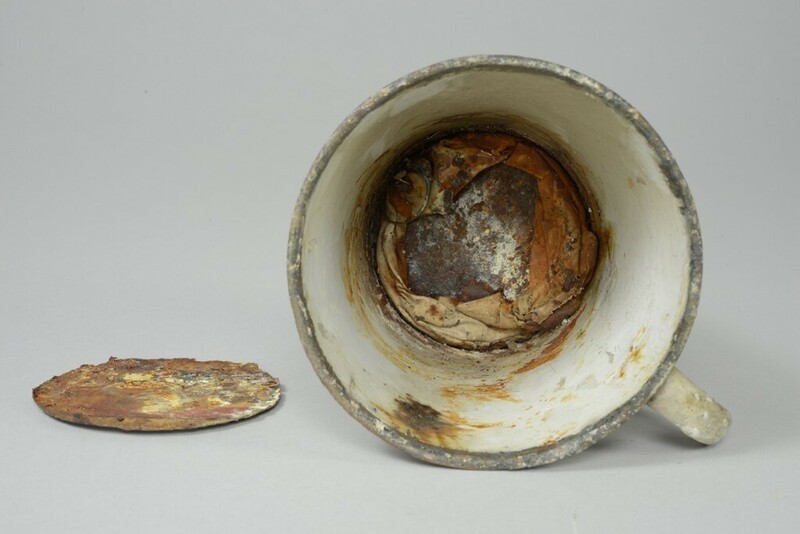 The enameled mug was one of more than 12,000 pieces of kitchenware that Nazis stole from people sent to the Auschwitz concentration camp in occupied Poland. "The Germans incessantly lied to the Jews deported for extermination," Dr. Piotr M.A. Cywinski, the director of the Auschwitz-Birkenau State Museum, said in a statement. "They were told about resettlement, work and life in a different location." But the Nazis would allow Jews to take only a small amount of luggage. It was a calculated move: If you were going to start a new life, and could only take a small bag, you'd fill it with your most precious possessions. So when a victim arrived at Auschwitz, the Germans could be confident they'd be able to loot their luggage and find valuables. Tests revealed that the ring has the properties of gold 583, used in products made in Poland in the 1920s. Victims often tried to hide costly possessions from sight. On one hand, Cywinski says, that's proof that Jewish families were well aware that their belongings would be looted during their deportation. But it's also a heartbreaking reminder of how much people didn't know about the fate they faced at Auschwitz. Every effort to hide valuables "shows that the Jewish families constantly had a ray of hope that these items will be required for their existence," Cywinski says. An X-ray reveals the jewelry concealed behind the false bottom, which separated from the mug after more than 70 years. "Despite the passage of more than 70 years since the liberation of the German Nazi concentration and extermination camp, there are still cases of accidental discovery of objects hidden by the victims," the museum statement read. And that's what happened with the mug, which was being examined as part of routine work at the museum when the false bottom was discovered. Beneath, there was a necklace coiled in a circle and wrapped in canvas, and a ring with some stones remaining in the setting. 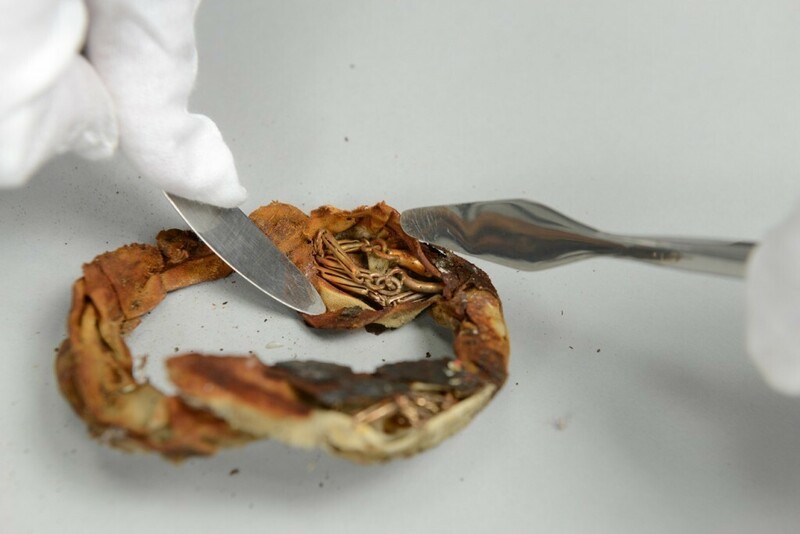 "It was very well hidden, however, due to the passage of time, the materials underwent gradual degradation, and the second bottom separated from the mug," Hanna Kubik of the Memorial Collections said in the museum's statement. The museum says that while every find is "carefully documented," it is often impossible to connect a personal item to the victim who owned it because of a a lack of identifying characteristics. The necklace was carefully wrapped in canvas before being concealed in the mug. 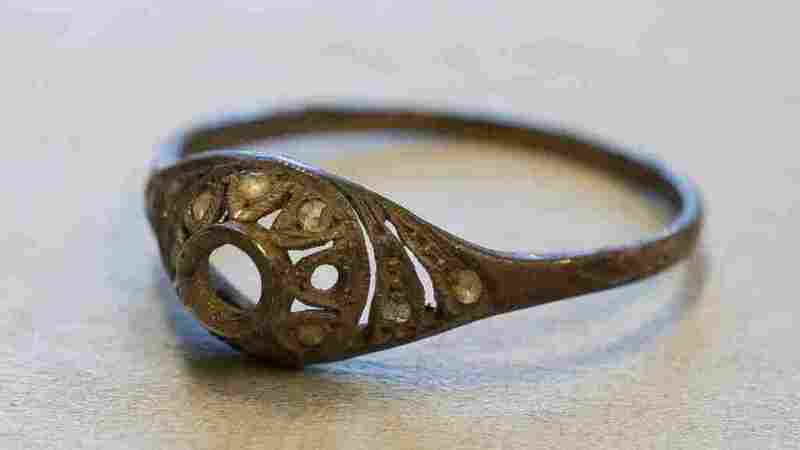 "The jewellery found in the mug will be stored in the Collections of the Museum in the form reflecting the manner in which it had been hidden by the owner, as a testimony to the fate of the Jews deported to the German Nazi concentration and extermination camp," the museum writes. More than 1 million prisoners, mostly Jews, died at Auschwitz during the Holocaust.